Developers have been buying large parcels of land in Ingleside in anticipation of a major rezoning that would create a new urban community the size of Warriewood Valley in Pittwater. About 2500 new homes, two new public schools, shops, sports fields, upgraded roads and a new community centre are proposed for the semirural suburb. 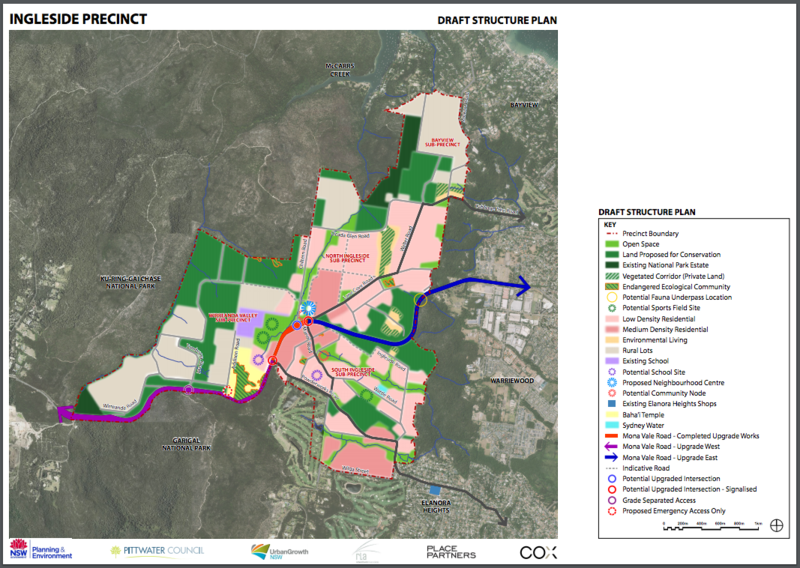 Mirvac has optioned 10ha in South Ingleside – worth about $25 million and known as the Wilga/Wilson area – with the view to develop it, while Sunland has spent $12.2 million securing 6ha at 222 Powderworks Rd, Ingleside, and overseas developers have bought acreage in Chiltern Rd for $4.5 million. A 1ha site at 212 Powderworks Rd is currently for sale. Duane Hunter of Hunter Estate Agents said it had attracted more than $6.5 million and was “earmarked for a residential rezoning”. The State Government and Pittwater Council have been considering Ingleside for land release for years and the process is now gathering pace. An Ingleside community reference group has been established, six community workshops have been held and a detailed map has been created with proposed areas of development and infrastructure upgrades. Rezoning could occur as early as the end of the year. Which is completely unrelated to this, almost certainly. Animal Welfare League NSW has had to make the difficult decision to close our shelter at Ingleside on Sydney’s Northern beaches. After extensive assessment by a professional contractor, it was determined that there were multiple compliance issues relating to waste water management and building codes. After much deliberation, the AWL NSW Board agreed that the only current course of action was to close the shelter. An ongoing review of what is to be done with the Ingleside property is now being undertaken. We realise this news is distressing to many of our supporters, but with the greatest concern for human and animal welfare, for safety reasons the shelter can no longer continue to operate. We appreciate your understanding during this difficult time. We will continue to build on our positive work at our remaining shelters at Kemps Creek and West Hoxton along with our extension branch and foster network throughout NSW. We thank our staff, volunteers and supporters for their many years of involvement with Ingleside. The AWL operates two animal shelters in the Sydney region (Kemps Creek and Ingleside) with a dozen or so volunteer branches across the state. It takes about an hour to drive from Kemps Creek to Ingleside. 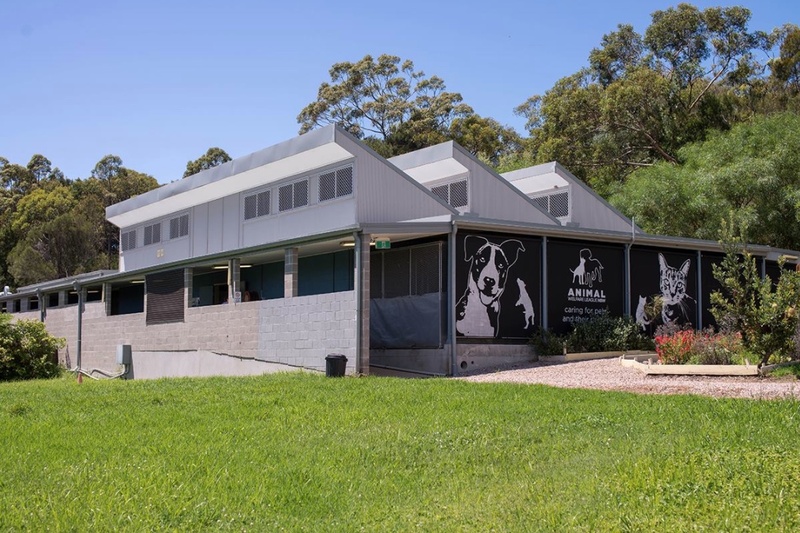 Ingleside Shelter is located in Sydney's northern beaches and cares for surrendered animals as well as offering "premier boarding facilities for cats and dogs". The site is known as No. 11 Cicada Glen Road, Ingleside (Lot 204 DP 752046), and has a site area of 2.024 hectares (about five acres). Council records show a building approval for a commercial kennel in 1975. Development Consent N1084/00 was for an on-site waste water treatment system, which cost about $6,000 and was completed in 2001. Development Consent N0334/07 was for upgrades to an existing dwelling which cost $15,000 and were completed in 2007. While N0132/09 was for upgrades to an animal training, adoption and boarding establishment for 110 dogs and 110 cats, which cost about $750,000 and was completed in 2013. This year, we opened our brand new cattery at Ingleside shelter, thanks to the generous support from the Northside and Manly Warringah Pittwater Branches. The cats and kittens at Ingleside shelter can now enjoy the fresh air and sunshine while they await their forever homes. 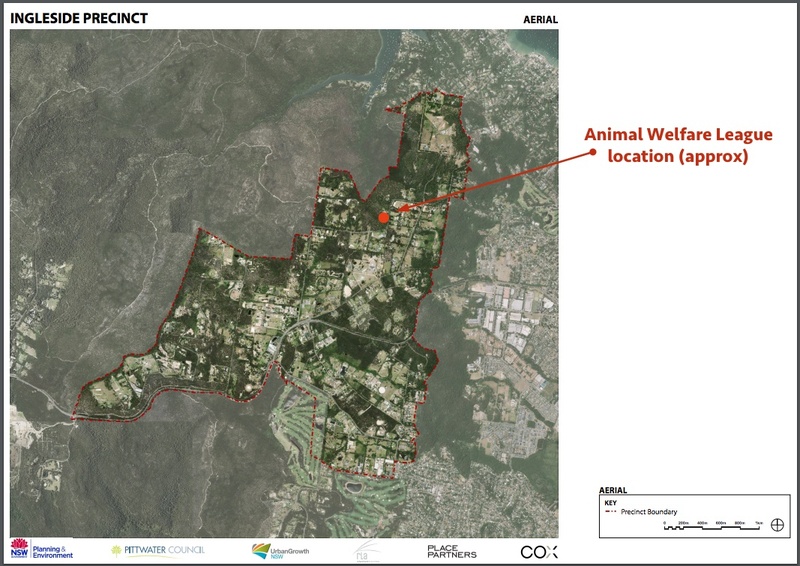 With properties in this new development zone selling for millions per acre, I wonder what the AWL NSW plans to do with this facility... it's impossible to guess.